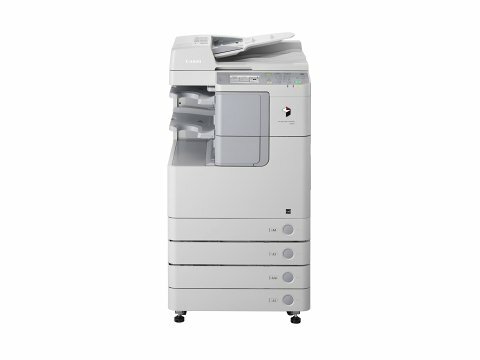 The Canon 2525 is a black and white digital copier. The Canon IR 2525 can print at 25ppm, A3 black-and-white. In addition, the Canon ImageRunner 2525 has a 2,300 sheet paper capacity. 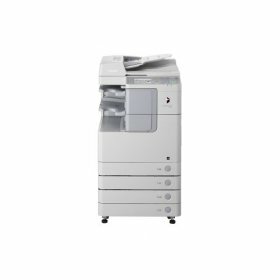 Operating at speeds of up to 25 pages per minute (A4), the imageRUNNER 2525 provides a compact suite of functionalities for small businesses and workgroups. From standard network printing to built-in duplex, this multifunctional device is suitable for any office setting. 2 x 550-Sheet Paper Cassettes, an 100-sheet Stack Bypass, 512MB RAM, UFR II LT Printing, Color Network ScanGear, 10/100 Base TX Ethernet, USB 2.0 high speed connectivity and a Drum Unit. You must install either the DADF-AB1 or the Platen Cover Type P with the imageRUNNER 2525 model.